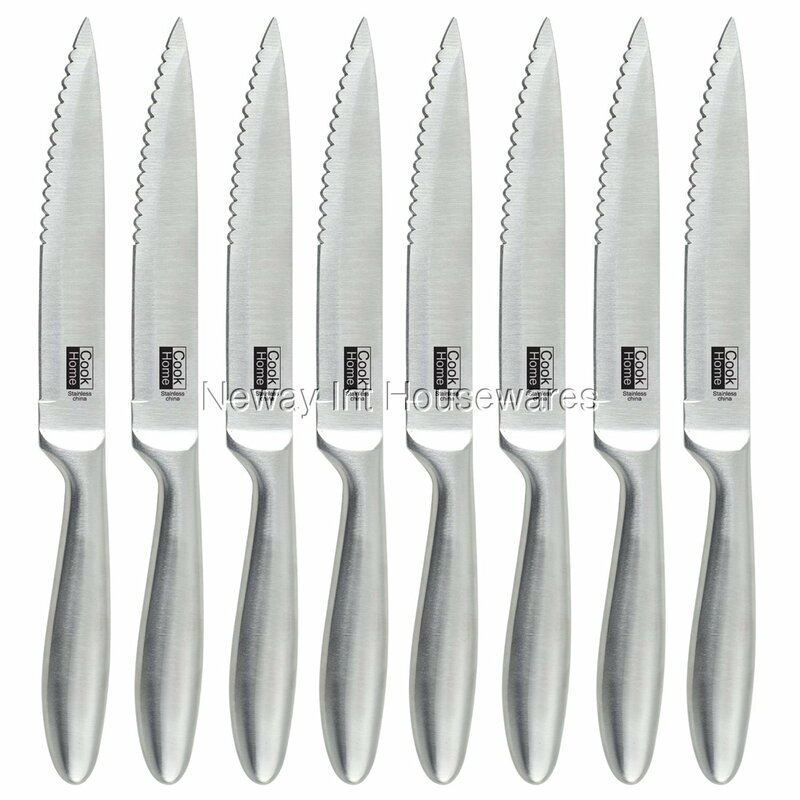 The Cook N Home steak house style jumbo steak knife set (set of 8) makes for a great addition to any kitchen that needs consistent performance along with aesthetic appeal. It has a sleek and stylish structural design that makes it pleasing to the eye, while its practical and compact build makes it highly space efficient and a joy to use. The blades are made from high carbon stainless steel, which lends them lasting durability and extreme accuracy.